The excessive snow and icy weather provided me with some nature eye candy yesterday. We were fortunate and did not lose power with Wednesday’s storm, so I was able to enjoy the scenery that followed. 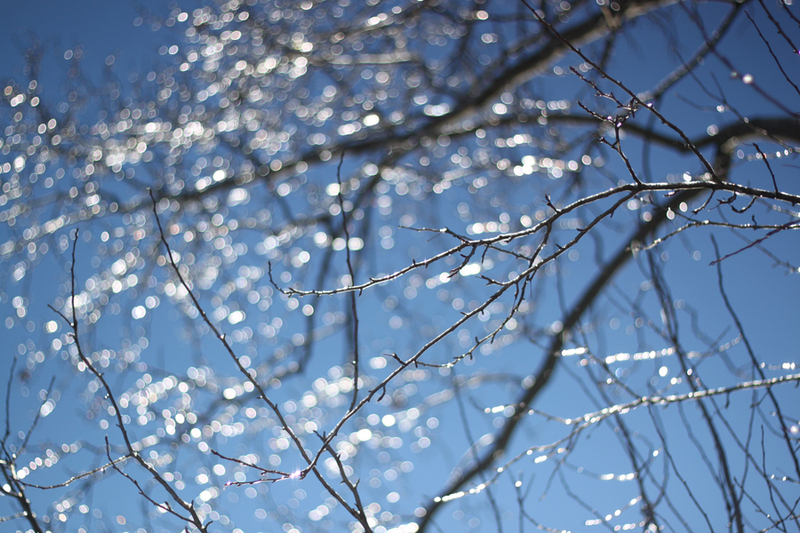 The next day (yesterday) the sun was shining bright and lit up the ice covered trees. They looked like beautiful, gaudy Christmas decorations. Before kids, I would easily be outside for hours letting my camera soak up the unique scenery, but life is much different now. I could have wrapped my kids up and brought them outside, but my daughter has bronchitis, so she needed to stay inside. I did manage to snap a few photos in my backyard though. Light and weather create these masterpieces before us. What we see each day is never consistent and never predictable, but when it happens I want to remember it.